This 100 quart ice chest is the perfect size for big game hunting or offshore fishing. Ideal as a week-long hunting excursions and “off-the-grid” camping trips. 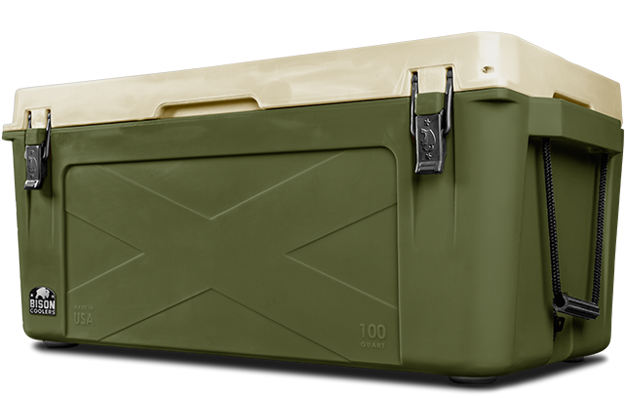 This 100 quart ice chest is the perfect size for big game hunting or offshore fishing. Ideal as a large marine cooler, the 100 qt Bison Cooler is also great for week-long hunting excursions, “off-the-grid” camping trips and heavy duty commercial use. 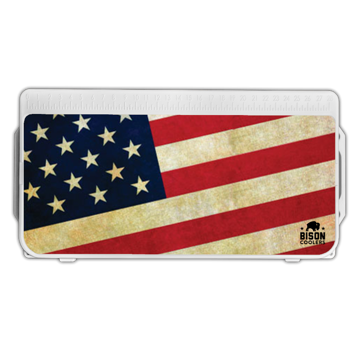 For even more storage, check out Bison's 150 Quart Cooler. External: 40.75" x 19" x 17.75"
Internal: 32" x 15" x 12.5"
Make your Bison Cooler uniquely yours.